So by now, I think we’re all aware of my not so secret love of Orange is the New Black, and chocolate cake also ranks pretty highly on my list of things that I probably shouldn’t indulge in as often as I do, but let me introduce you to my new #1 ‘I really shouldn’t but…oh go on then‘ favourite website, Shufflehub. Now I think I speak for most of us when I say there’s nothing better than a good browse on our favourite online retailers’ websites, I for one am usually glued to the ‘New In’ section of Missguided around payday each month, but there is nothing more infuriating than not being sure what you want, and trawling through pages and pages of clothes to still feel totally uninspired. Possibly even worse, is finding the item you love only to find an even better one several days later when browsing another website and wondering why on Earth you hadn’t found that first. Here is where Shufflehub steps in – all your favourite retailers in one place at just the touch of a button! The brilliant thing is, the site caters for all your needs, whether you know what you’re looking for or not. You know the feeling you get when you walk into a shop and everything is in one place and you can browse it all at your own pace? The Shufflehub experience does just that for you and from the comfort of your own bed (where I am currently browsing) or even from your office, you can browse at random through over 50 leading brands all in one place which is brilliant if you’re not sure what you’re after. 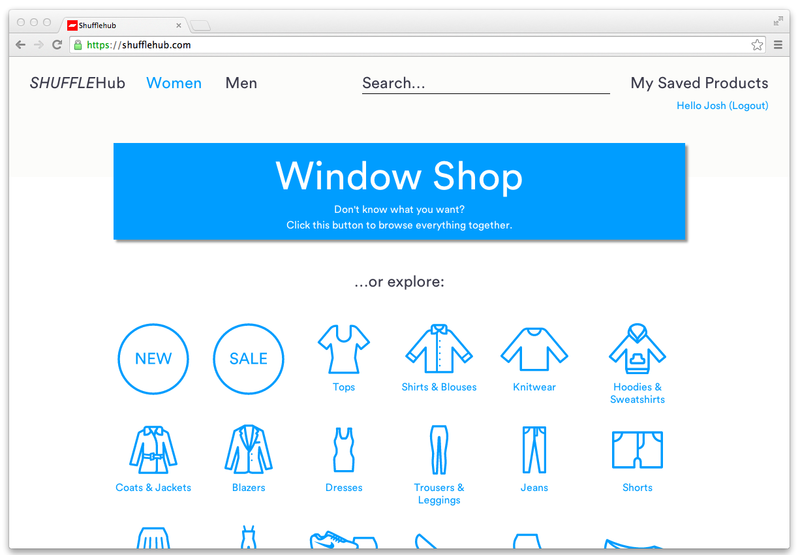 If you are looking for a specific item, their handy filters can help to refine your search and the user friendly interface makes navigating the site quick, simple and totally stress free. 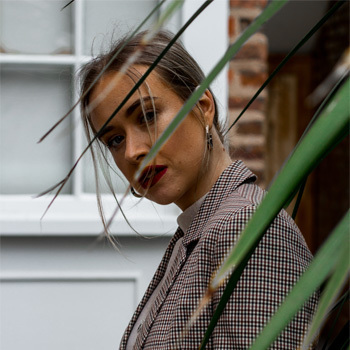 I’ve been amazed by how much more pleasurable online shopping has become since discovering Shufflehub, and it’s actually introduced me to brands I hadn’t heard of before, as well as encouraging me to consider brands I’d never normally shop with. Don’t forget to connect with Shufflehub on Twitter and Facebook, and keep your eyes peeled for their brand new app soon to launch! 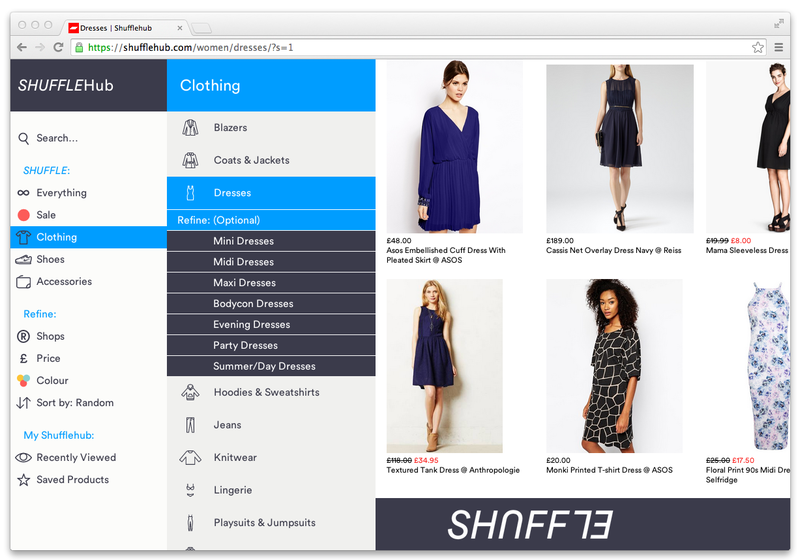 Have you shopped with Shufflehub before? What did you think of the experience?